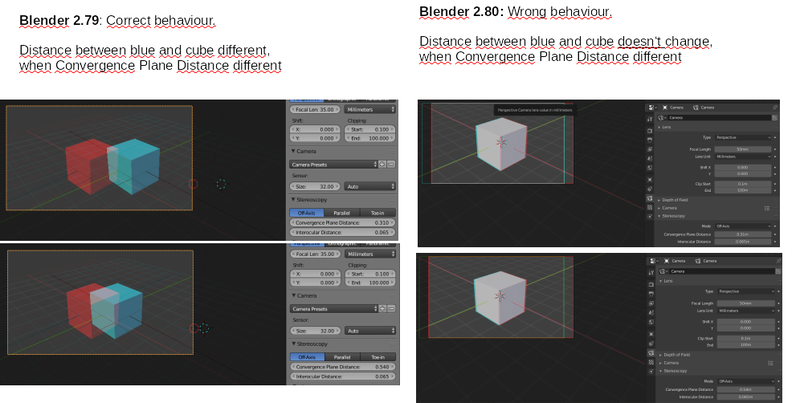 Stereoscopy convergence plan produces no effect on viewport. Confirmed. The plane not drawing in the viewport is a known TODO. But it should still draw the individual cameras correctly. For the records, rendering is correct, the only issue is viewport drawing. Dalai Felinto (dfelinto) added a commit: rB0bd20aa7df2a: Fix T60328: Stereoscopy Convergence Plane broken.